Rob Cesternino and Akiva Wienerkur continue their journey to watch every Seinfeld episode as they discuss Season 8, Episode 9, “The Abstinence”. 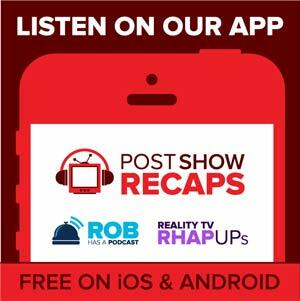 Rob Cesternino and Akiva Wienerkur won’t turn into goblins as they bring you this week’s Seinfeld Post Show Recap. This time, they discussed “The Abstinence”, which first aired November 21, 1996 as part of season eight. The episode was written by Steven Koren, marking his first episode writing for the show. Emails – Johnny De Silveira asked if either of them have remembered where they put something 25 years after losing it. Matt wondered why Jerry didn’t fire his agent after the events of “The Diplomat Club”. Caleb wondered if Rob had any cool Letterman stories. Lindsay asked if either of them had any great career day guests throughout school. Craig lauded the show for getting the newly minted world series champions in Derek Jeter and Bernie Williams. April, a new emailer asked if either of them have been bumped in favor of someone else. Mike commented how he likes to listen to the podcast in half speed, rather than double speed. Dan the benefactor pointed out that George isn’t far off in his claim to be a part of the Yankees’ success. Amir wondered why baseball wasn’t full of geniuses, given George’s success from using physics. He also asked why Elaine wouldn’t take care of her situation by becoming master of her domain. Lastly, Keev wanted to remind Jen Chester about Ben’s line about the dream of becoming a doctor. Tune in next week as the guys will recap “The Andrea Doria”. Send in your questions by emailing [email protected]. Don’t forget to subscribe to the podcast by going to postshowrecaps.com/seinfelditunes where you can rate and review the podcast. You can get a discussion going by leaving a comment on the show pages, and as always, you can follow them on Twitter @robcesternino and @keev26.